How Durable is Your iPad? 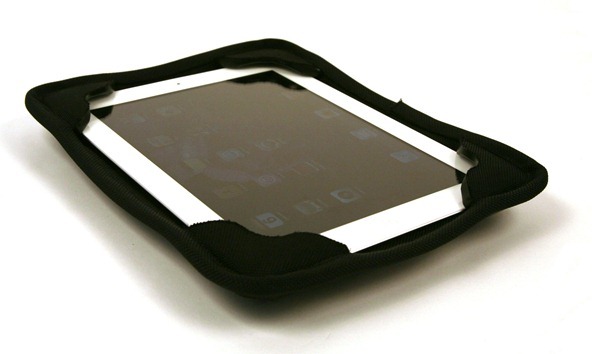 Do you think that your iPad is very durable? How about wrapping in the G-Form 6 Extreme Edge case? Now how durable do you think it is? Well it just might be more so than you think. If you have ever thought about space, you might have wondered what or where does our definition of space really start. According to those who have a lot of space knowledge space begins about 62 miles up. Now if you want to be considered an astronaut, all you have to do is to be able to fly above 50 miles up. That doesn’t seem to be very far, as you might say that you drive more than that in a day. We can easily put this in perspective if you consider an airplane that you might take to get to your next vacation. This plane usually flies at about 6 miles high in altitude. The fighter jets can’t fly more than about 19 miles above the earth’s surface. We go into all of the details so that you will understand what the company G-Form did while trying to test the G-Form 6 Extreme Edge Case. The test not only tested the case, but it also tested the durability of the iPad. With the test, the company attached an iPad that was placed in the G-Form case to a hot air balloon and sent it approximately 100,000 feet into space. Once the hot air balloon burst, the device dropped to the earth and landed in a rough terrain area in the state of Nevada. If you take a look at the iPad, you will see that it is still working. Though this is a test that you would not want to run yourself, you can be assured that the iPad that you have purchased is an extremely durable device and the G-Form 6 Extreme Edge Case is a case that would be worth your while to purchase so that you can protect your device. 0 Respones to "How Durable is Your iPad?"